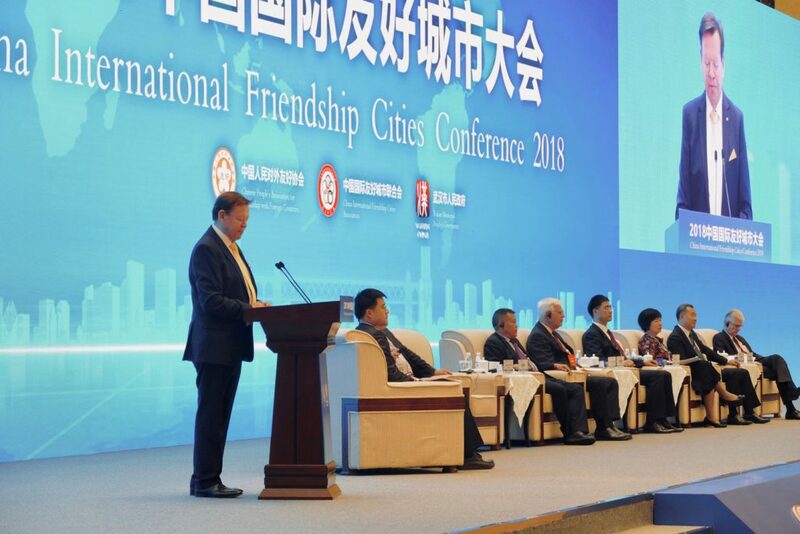 For the 6th time already the “International Friendship Cities Conference” is taking place in China. Since 2008 the “Chinese People’s Association for Friendship with foreign countries” has been organizing the conference in different Chinese cities, this time in the city of Wuhan from November 14-16, 2018. This year’s conference takes place according to the slogan “Sharing Development Opportunities and Deepening Win-Win Cooperation” and was opened by the Vice President of the People’s Republic of China, Mr. Wang Qishan. More than 600 participants from 60 countries took part for an exchange of opinions and in order to deepen and cultivate international relations. As in previous years INTERKULTUR President Günter Titsch was invited to participate in the conference with a delegation from Germany. Titsch used the opportunity to present the unifying work of a cultural organization to a huge audience. 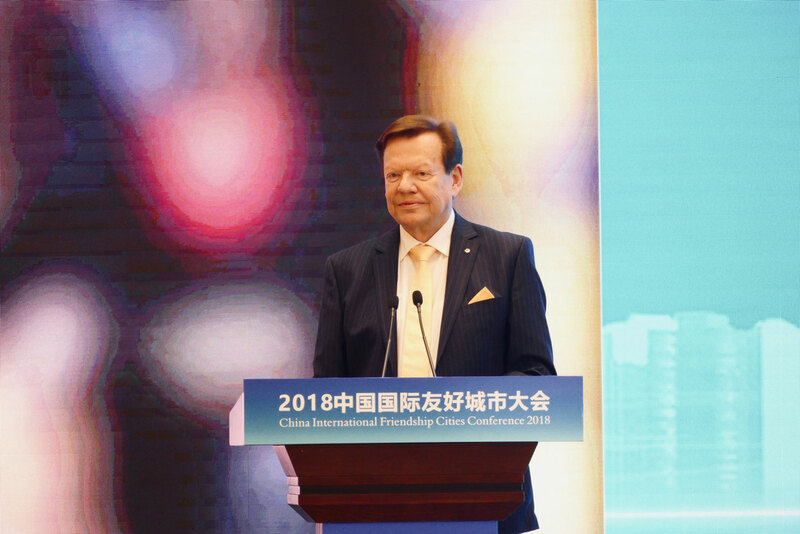 His speech was part of the theme session “Internationalization – Enhancing Urban International Competitiveness”, where he presented ways of how a modern city could showcase and present to the world its own values, cultural features and individual character through international cultural exchange. According to Titsch, a modern and cosmopolitan city can benefit economically by music and cultural tourism. Titsch ideas of economic promotion and cultural tourism were well received by the highly interested conference participants.